Este libro, el libro acompañante de la Guía de Escuela Sabática del ter. trimestre 2013, se centra en los tres primeros capítulos del Génesis. El autor dice que todo el resto de la Biblia encuentra su sentido en el contexto que estos capítulos ofrecen. Para entender a Dios, a nosotros mismos y a nuestro mundo, debemos entender estos capítulos. En ello se explica no sólo cómo llegamos a existir, sino por qué. Es en la historia de la creación donde "nos encontramos con el significado del matrimonio y de la familia, de la responsabilidad y el trabajo y del descanso sabático." This book, the companion book for the Adult Bible Study Guides for first quarter of 2013, focuses on the first three chapters of genesis. The author says that all the rest of the Bible finds its meaning in the context these chapters provide. To understand God, ourselves and our world, we must understand these chapters. They explain not only how we came to exist, but why. It is in the Creation story that "we find the meaning of marriage and family, of responsibility and work, and of Sabbath rest." . 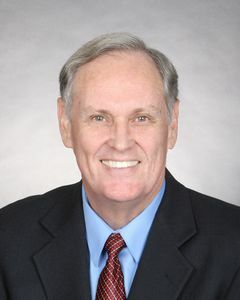 L. James Gibson completed a PhD in biology from Loma Linda University in 1984, when he joined the Geoscience Research Institute, becoming its director in 1994. His major interests include historical biology and the relationship of creation and science. He has written several articles and chapter for a number of journals and books, has participated in numerous seminars on faith and science on six continents, and is editor of the journal Origins.